I had another post in mind about how I used the import, export and conversion functions of several software programs to get from a Real Book lead sheet in Eb minor to a fingerstyle guitar arrangement in A minor. As I thought about the article I realized I had made an assumption that everyone would know about lead sheets and The Real Books. And some of you do. But there are probably quite a few who don’t. So I’m going to explain. Hopefully I’ll get around to my original article idea later. A lead sheet is just what it says. It’s the melody of a song written in standard notation, usually with guitar chord names above each line. It usually does not have lyrics. There is no bass part or full piano part. No guitar tab nor chord diagrams. Still, professional musicians in a band should be able to improvise an arrangement of a song from a lead sheet. This might be the first line of a lead sheet - only it's a fake! A fake book is a collection of tunes or songs where each tune is presented as a lead sheet. Now it gets interesting. There is a lot of history and a lot of rumors and probably inaccurate information regarding The Real Books. There are currently three volumes of The Real Book. Each is a collection of standards with a heavy emphasis on jazz standards. They are of course fake books. Back in the 1970s The Real Books were available only in an underground distribution system, mostly among professional musicians. However, all the music in the books are covered by copyright and the original Real Book did not have permission to publish the material. That changed when the Hal Leonard Corporation began publishing The Real Book after getting all the required licenses and making corrections to many of the transcriptions. The Real Books are a great resource of you want to play jazz or standards. Be aware that not only are there multiple volumes, each with a different selection of music, but that the three volumes come in different keys. If you’re a horn or bass player you can get a Real Book in Bb or Eb or for the bass clef. If you are a guitarist you want the “C” editions. There are 462 pages of music in Volume I of the Real Book. I own two of the three volumes of Real Books (in addition to the Jazz Real Book). Although the books have nice table of contents, sometimes it would be nice to be able to quickly find which page of which volume a particular tune can be found. You can do that at http://www.igigbook.com/. Another nice resource is http://www.realbook.us/. You need to register (free). The site provides the chord progressions of Real Book tunes. You can transpose the key for the chords to any key you want. The display defaults to the generic roman numeral system where a major chord in the key of the tune is represented by I. There is no melody, no lyrics. Not even slash chord strumming patterns. Just the chords. The chords do not always match what’s in my Real Book. Sometimes the chords are better, sometimes not as good. Chords are usually just a suggested interpretation to accompany a tune and if you compare the chords among different sources for the same tune you’ll find that they often don’t match. Notation warning: If you haven’t realized it yet, there are many different systems of notation, including different ways of writing guitar chord names. The Real Books use “-” to indicate a minor chord as in D-7 indicating a D minor seventh chord instead of the more common Dm7 or Dmin7. Hal Leonard isn’t the only publisher who has put out Real Books. Chuck Sher publishes “The New Real Book”. Warner Brothers publishes the “Just Jazz Real Book”. And so on. The Just Real Jazz Book from Warner includes lyrics for most songs which have lyrics. Notation warning: The Warner Real Book’s idiosyncrasy is using a small cap M to indicate a minor chord. You will sometimes see a capital M used for a major chord as in GM7 instead of Gmaj7. The Warner book means G minor 7 when you see GM7 and uses GMaj7 for a G major seventh chord. So far the music books I’ve described contain simple lead sheets and chord names. They aren’t really for beginning guitarists. You can find many collections of music that have chord names above the music. Even if the music is a complete piano score with all the lyrics, having just chord names isn’t going to be useful unless you are at least an intermediate guitarist and can make sense of the chords. 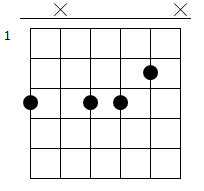 A better type of music book for guitarists has guitar chord diagrams above the music. Now, even if you’ve never before heard of a Gm7b5 chord, you can look at the diagram and (hopefully) play the chord. There’s more to playing guitar than just chords. If you want to play the melody, particularly if you can’t read music, then you need a book that includes guitar tablature. Look carefully at any book you get and consider what you really want. Some books have simplified melodies or stripped down lead guitar parts. This may be perfect for you if you are a beginner. But if you are trying to sound like a recording from your favorite band, then this isn’t going to be for you. You need to find books that clearly state on the cover that they are exact transcriptions of the recorded version of tunes by the original artists if that’s what you expect. Remember, older popular songs may have been recorded numerous times by both the original artists and others. Each is likely to be a slightly different interpretation of the song. So, if this is important to you, be sure to find the transcription of the version you are trying to sound like.